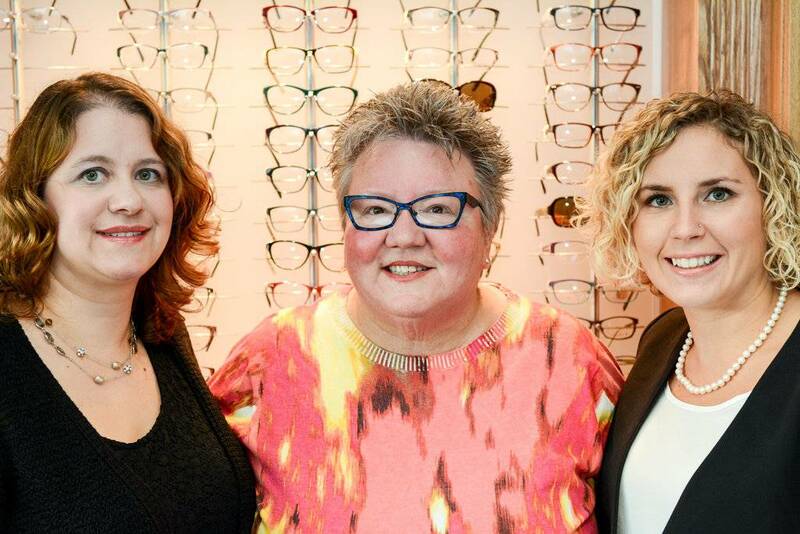 Tsawwassen Optometry Clinic has been serving this area since 1983. Started by Dr. Joan Hansen, the clinic welcomed Dr. Giulia DeVuono in 2003 and Dr. Sara Kirby in 2012. Regular eye health checks are important for all ages. Children should be seen on or before their third birthday and yearly after that during their school years. Adults should be seen every two years until they reach their 60’s when yearly appointments become necessary. An eye health exam can uncover serious eye disease or signs of other diseases in the body. See us for complete eye health exams, contact lenses, computer vision problems, pre and post surgical care,stylish eyewear, and a fantastic children's eyewear program. We often provide single vision glasses in under an hour and always lots of smiles. We take pride in building lasting relationships with our patients, which is why we take the time to get to know you, your vision requirements, and your lifestyle needs. We also have available in the office, a retinal camera which allows the doctors to photograph the back of the eye. Contact our eye care clinic today to find out how we can help.